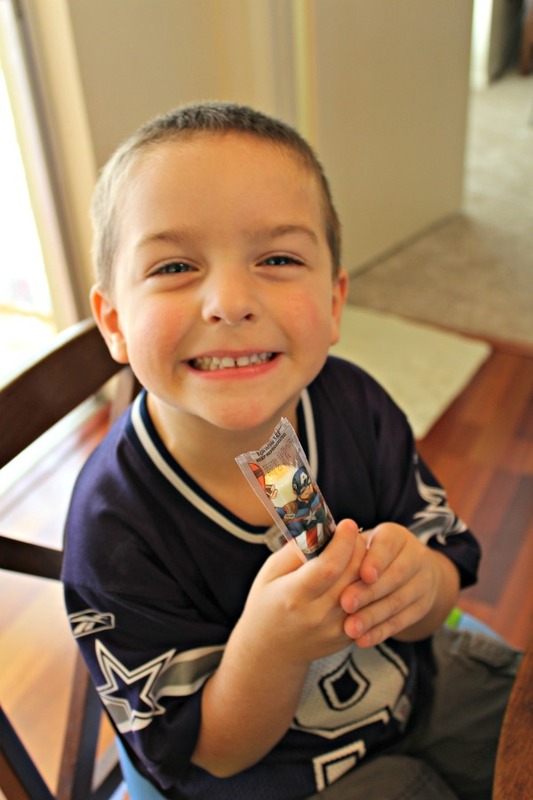 Being My Family’s Super Hero With This Easy and Fun Lunch Idea for Kids! I really feel like a “SUPER HERO” when I can create Easy and Fun Lunch Idea for Kids that they like as well as provide them with nutritious foods to power their day. As soon as the weather starts to cool down, my schedule immediately becomes busier. Between school commitments, sports activities, as well as practices and performances, my time is really tight. If I can take it easy during the down times or make the morning routines a little simpler, well I am a happy parent. 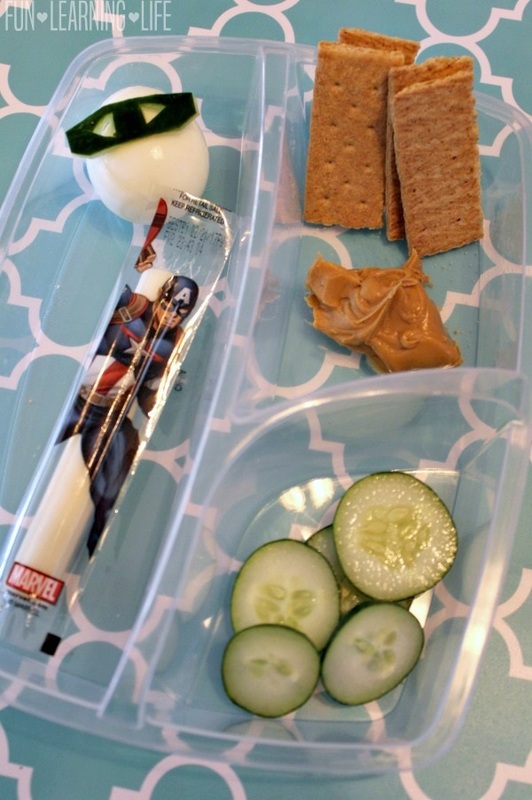 I did this very thing when I created an Easy and Fun Lunch Idea for Kids with Marvel® Avengers String Cheese! All three kiddos appreciate super heroes and they also love items like cheese, eggs, and peanut butter in their lunches. 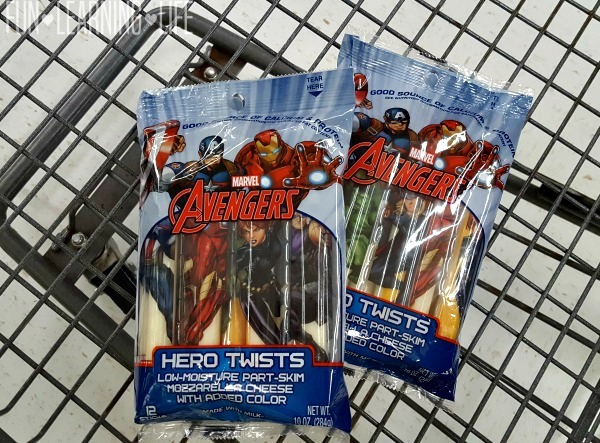 On a recent trip to Walmart, I not only got their favorite lunch time items, but also grabbed 2 packages of Marvel® Avengers String Cheese to make lunch time easier and for snacks. Before your next shopping trip, be sure to print this $1.00 off Coupon for Marvel® Avengers String Cheese Products (expires 1/15/2017). Are a fun Lunch Idea for Kids and great for lunchboxes too! Plus there are fun characters featured that all 3 of my kids can appreciate. Not to mention, they offer a wholesome, healthy, and responsible choice for kids. 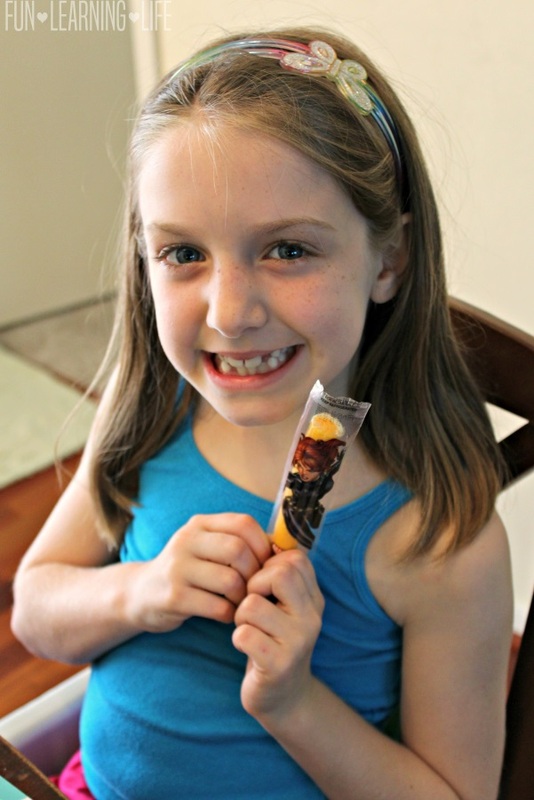 Looking for additional lunch ideas for kids as well as fun activities for your children? Visit www.cheeseadventures.com for Meal Tips as well as coupons and more. Now I just so happened to have a busy weekend ahead among getting caught up on cleaning, going to an extra dance rehearsal for my daughter, church, as well as a Mom’s get together on Sunday. Although I had all this going on, I was still able to take the time to make my children a lunch that I could feel good about. Lately we all have been snacking on cucumbers adding them to salads, eating them plain, and putting fun items on top. Plus my kids are always asking me to make them boiled eggs. So to make the lunch process easier, I boiled and cooled eggs in advance and went to assembling their lunch in convenient divided containers. Adding Marvel® Avengers String Cheese to their meal was just another easy part of the process and this colorful cheese gave their lunch a great boost of protein. Plus I am so happy to add a fun component to their day. How do you make lunch time easier for your family (and you)? 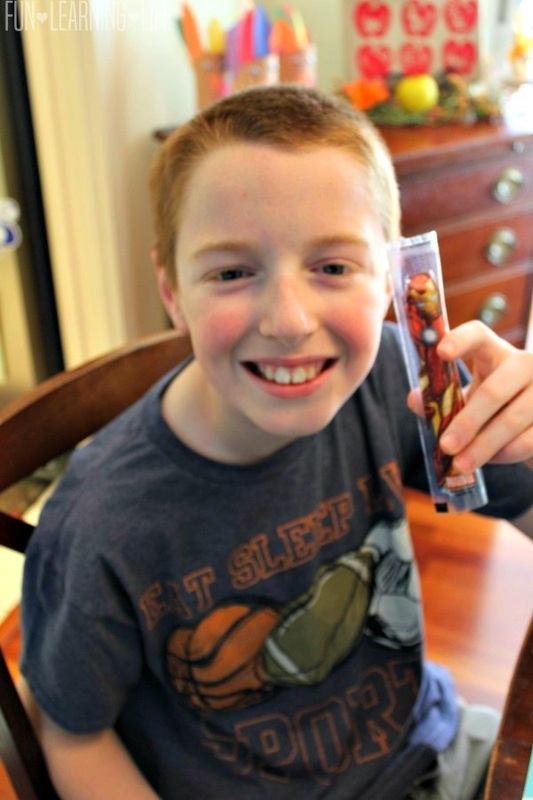 Have you tried Marvel® Avengers String Cheese? The finished product included a boiled egg, graham crackers, a tablespoon of peanut butter, sliced cucumbers, and Marvel® Avengers String Cheese. Plus, I took a thin slice out of the leftover cucumber skin and carefully crafted with a knife a green mask to go on each egg. My children thought this was really cool and loved their lunch. I was definitely feeling like a COOL mom, accomplishing an easy, fun, and delicious lunch for my kiddos. 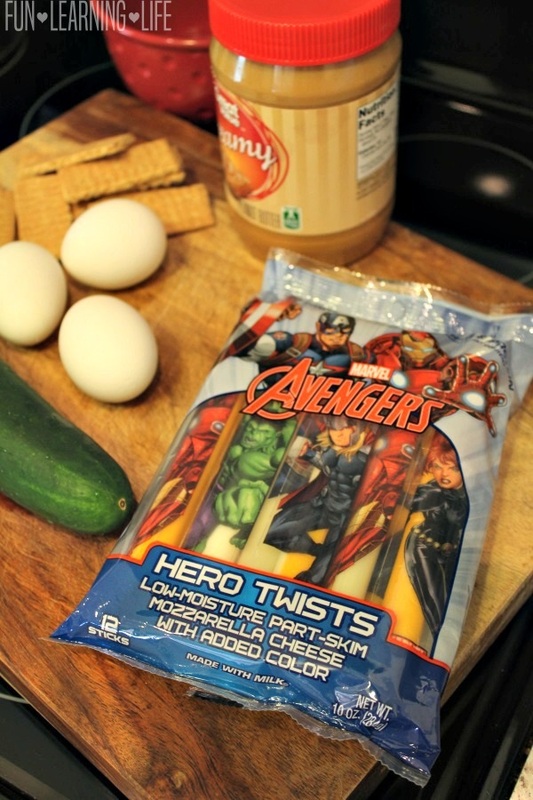 Make lunchtime, snack time, and dinner easier this week with Marvel® Avengers String Cheese! Be sure to look for this product at your favorite grocery store and don’t forget to visit $1.00 off Coupon for Marvel® Avengers String Cheese Products (expires 1/15/2017) to save on your next purchase! 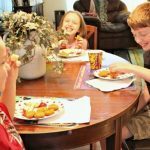 I hope you also get to feel like a SUPER HERO and your family enjoys my combination to create an Easy and Fun Lunch Idea for Kids. 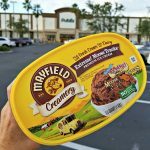 Finding Mayfield Creamery Extreme Moose Tracks Ice Cream at Publix! 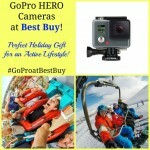 GoPro HERO Cameras at Best Buy! #GoProatBestBuy Perfect Holiday Gift for an Active Lifestyle! I Might Be A WONDER WOMAN “MOM” If, and Discover the Hero Within Quiz!